YOUR OWN PARK! 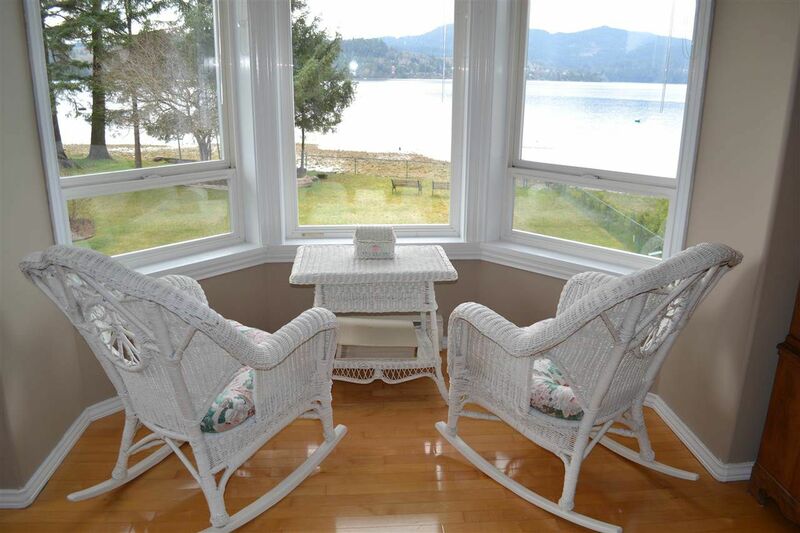 Majestic cedars border the approach to your waterfront home on 1.68 acres with westerly views of Sechelt Inlet. Nestled in the coastal mountains at the head of the Inlet this one owner home boasts level waterfront. Enjoy the fabulous layout in this efficient home; formal living and dining rooms with hardwood floors, spacious kitchen and family room with views and easy access to a large deck for entertaining, large master, plus 2 other bedrooms and den/office, 3 baths. HRV system, extra large hot water tank, large workshop/garage (plus another 2 car garage) are just a few of the extras. A second home can also be built on this property! Gather the clan and make your summertime family dreams come true...Call today for a private appointment.